Select a message that comes from the address you want to block. Select Message, Block Sender. Outlook Express adds the address to the Blocked Senders list and asks whether you want to delete all messages from that address. Click Yes to delete the messages, or click No to leave them. To view the Blocked Senders list, select Tools, Message Rules, Blocked Senders List. Outlook Express opens the Message Rules dialog box and displays the Blocked Senders tab. From here, you can add another blocked sender, or modify or delete an existing blocked sender. Select the Tools, Message Rules, Mail command. Outlook Express displays the New Mail Rule dialog box. In the Select the Conditions for Your Rule list, activate the check box beside the rule condition you want to use to pick out a message from the herd. 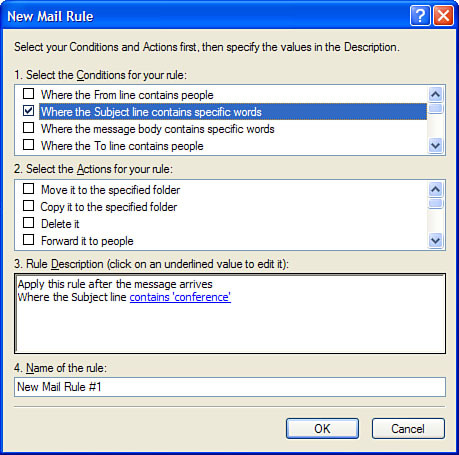 Outlook Express adds the condition to the Rule Description text box. Note that you’re free to select multiple conditions. The condition shown in the Rule Description text box will probably have some underlined text. You need to replace that underlined text with the specific criterion you want to use (such as a word or an address). To do that, click the underlined text, type the criterion in the dialog box that appears and click Add. Most conditions support multiple criteria (such as multiple addresses or multiple words in a Subject line), so repeat this step as necessary. When you’re done, click OK. Outlook Express updates the Rule Description text box with the text you entered, as shown in Figure 1. Figure 1. Click underlined text in the Rule Description text box to edit the text to the criterion you want for your rule. If you add multiple words or phrases to a rule criterion, you can make that criterion use Boolean operators such as AND, OR, and NOT. To do this, click the Options button in the dialog box that appears in step 3.  To make an AND criterion, activate Message Matches All of the X Below (where X depends on the condition—for example, words or people); to make an OR criterion, activate Message Matches Any One of the X Below; to make a NOT criterion, activate Message Does Not Contain the X Below. In the Select the Actions for your rule list, activate the check box beside the action you want Outlook Express to take with messages that meet your criteria. Again, you might have to click underlined text in the Rule Description text box to complete the action. Also, you can select multiple actions. If you selected multiple conditions, Outlook Express assumes that all the conditions must be true before invoking the rule (Boolean AND). To change this, click and in the Rule Description text box, activate the Messages Match Any One of the Criteria option, and click OK.
Use the Name of the Rule text box to type a descriptive name for the rule. Click OK. Outlook Express drops you off at the Mail Rules tab of the Message Rules dialog box. Toggling rules on and off— Use the check box beside each rule to turn the rule on and off. Setting rule order— Some rules should be processed before others. For example, if you have a rule that deletes spam, you want Outlook Express to process that rule before sending out a vacation reply. To adjust the order of a rule, select it and then click either Move Up or Move Down. Modifying a rule— To edit a rule, select it and click Modify. Applying a rule— If you want to apply a rule to existing inbox messages or to messages in a different folder, click Apply Now. Select the rule you want to apply (or click Select All to apply them all). To choose a different folder, click Browse. When you’re ready, click Apply Now. Deleting a rule— Select the rule and click Remove. When Outlook Express asks whether you’re sure, click Yes.